And we thought the “bucket list” was a new idea. I love Jonathan Swift’s list, especially the one about not telling the same story…a common failing of those of us over a certain age! 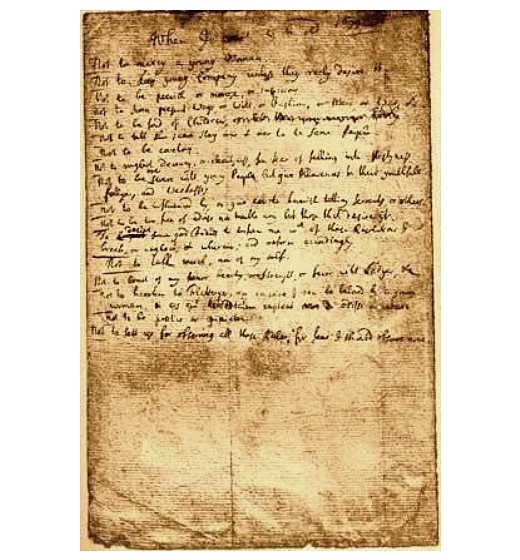 In 1699 when author Jonathan Swift was just 32 years old he created this list of personal resolutions that he titled When I come to be Old. Thanks to Lists of Note for the transcript.